Learn more about integrative veterinary care for all phases of your cat and dogs’ lives. 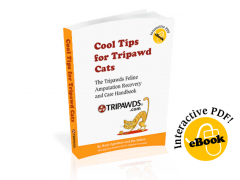 Catch the June edition of Tripawd Talk Radio and get the scoop on how blending Eastern and Western modalities can be beneficial in so many different ways. 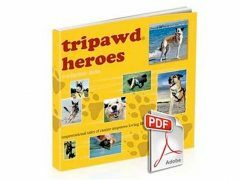 Is your Tripawd cat or dog fighting cancer? Curious about how “alternative” cancer care treatments can boost quality of life? Then check out this fascinating discussion with Dr. Richard Palmquist, DVM, Director of Integrative Health Services at Centinela Animal Hospital, Inc, Inglewood, California. 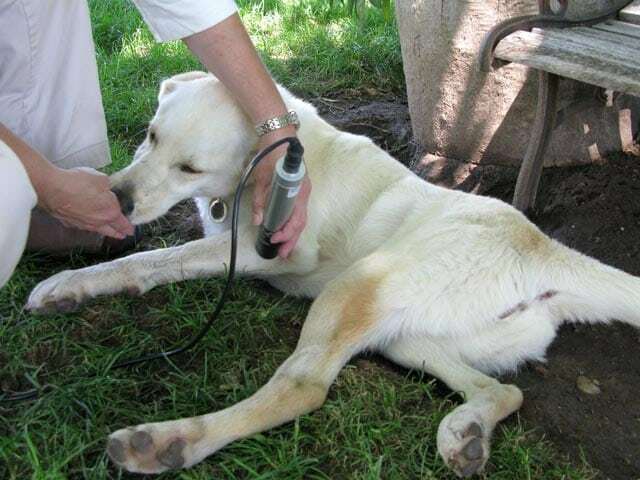 Dr. Palmquist is President of the American Holistic Veterinary Medical Foundation (AHVMF). He is the author of Releasing Your Pet’s Hidden Health Potential (a comprehensive guide to utilizing the power of nutrition and holistic modalities such as acupuncture, muscle response testing, and stem cell therapy to help your pet live a long, healthy life). Dr. Palmquist discusses how you can apply the principles of holistic care to helping three-legged amputee dogs and cats live longer, with a special focus on integrative care for coping with cancer. We also talk about his work with the AHVMF.org’s research and education grants for veterinary integrative medicine, including research funding to study canine cancer, vaccine reform, feline behavior and other ailments.